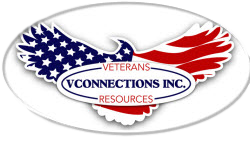 Veterans Taking Ownership – VConnections, Inc. Recently, VConnections, Veterans Affairs, and several other veteran support and assistance organizations, participated in an event to bring resource awareness to southern Maryland veterans and their families. The event sponsors did a great job of organizing and marketing to the communities yet, surprisingly, veteran attendance was low. According to government reports, many of the veterans living in rural areas are not taking advantage of the many resources and opportunities such as free workshops, training, support groups and free family events that are available to them. Our local and state organizations are working diligently to make sure all veterans and their families get the services they need. What value will we get out of the event? Doesn’t it sound like the same old event held last week? Is it worth our time and gas? I truly understand those questions and the frustration. But, it seems like organizations are beginning to address these issues by customizing their offerings and presentations in response to the questions and concerns raised by veterans and their families. Many of the veterans have needs, but attend these events unprepared. They leave home with 20 questions in mind, but not on paper. They end up asking maybe two of the many questions they have. Many veterans become overwhelmed by the many resources available at an event and lose focus. Because of a lack of communication between the veteran and his/her family, family members are unaware of some the veteran’s issues, and also find themselves lost in a maze of resources not knowing which ones can truly benefit the veteran. These are just a few of the many concerns we’ve heard, enough for you to get a gist of how frustrating and confusing it can be for veterans and their families after attending an event. As veterans, we have been trained to be prepared at all times. Well, this is no different! You have sacrificed for this country, so understand that these are the benefits and resources available to you for that sacrifice. Be sure to attend ready to take advantage of the opportunity. Prepare your list of questions and bring them with you! If you have internet access, go to ebenefits.va.gov and do some homework on the subject matter you have questions about. Get in contact with VConnections or other organizations to get assistance in preparing for a job fair or a benefits and claims session. Be willing and committed to not only setting up appointments but showing up to get further assistance and support. Discuss issues and concerns with your family and have them attend events with you to maximize efforts for getting the right information. 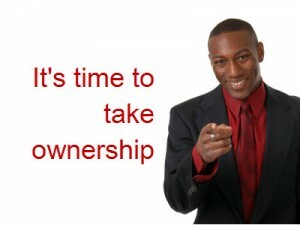 Fellow veterans, let’s maximize our efforts by taking some ownership! Don’t hesitate to contact VConnections if we can assist you with this endeavor.